This story begins a week ago on Wednesday July 19th 2013. I woke up and got out of bed I saw to my suprise one of two bands I had just gotten from Mike the previous month. I realized I slept in my ring and sometimes in the summer my fingers swell I must have taken off in the middle of the night. 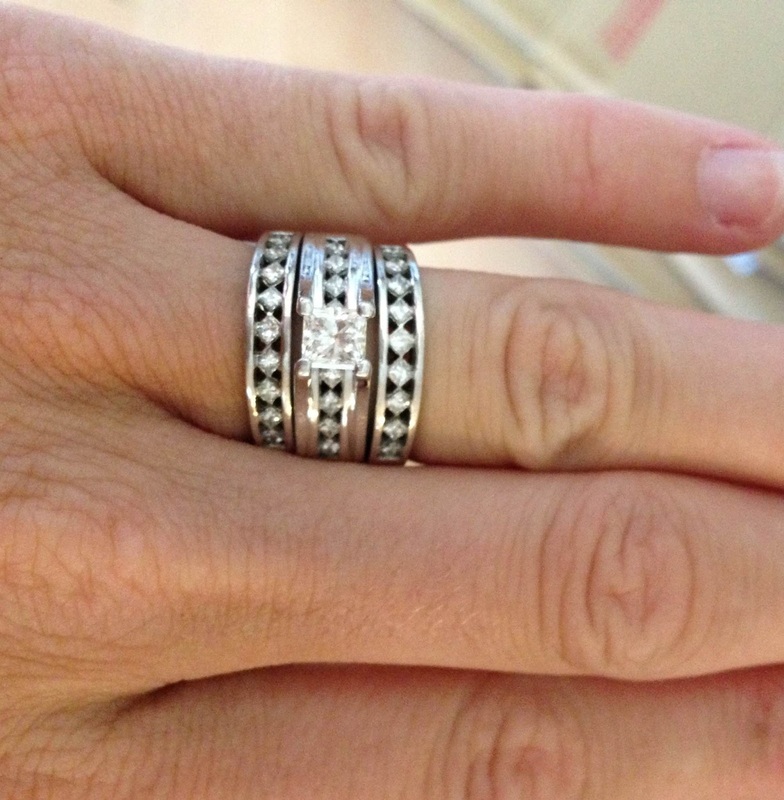 I immediately asked my two year old, Peyton where are my wedding rings? She said In the toilet and ran to her bathroom. She looked in her toilet then looked at me and said Oh NO! I asked her again Peyton where is my wedding rings? She look at me and said "In the drawer?" Then proceeded to say in her bed. At this point I figured she had taken them to her room. I deep cleaned her room for the next two days. 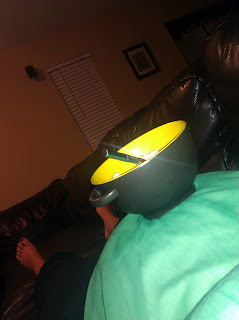 Friday morning I had my husband call Lehi City because I was too emotional to even talk about it. They were closed! I cleaned and cleaned some more searching my room her bathroom etc. My husband took of the toilet to see if they were in the trap. No Luck. I was giving up. He called Lehi Water Tuesday Morning at 10:00. They came to my house immediately. I decided to leave to distract my self rather than watching out my window. As I left a man stopped me and said they checked our house pipes and didn't find anything yet but that they were going to get a camera in the pipes. I came back around 3:00pm to find two big trucks on our little side street. I asked one man if they had seen anything. He said they are going to flush clear water through because they can't see anything with the dirty water. I went inside and put my kids down for a nap. I decided to go back out side and see if I could use my water. I didn't want to do anything to mess up what they were doing. As I asked one man if I could shower I hear from in the truck "Hey I think I found it." My heart stopped. They let me go in the truck to identify. Sure enough there it was sitting in grit and grime. I took this picture and sent it to my husband. The man said that is 144 feet or yard just far away from my house down this pipe. He said that is far away from this man hole. He was concerned about how we were going to get it out of this small pipe. He said I wonder where the next outlet or hole is I don't remember the terminology. He pulled the camera up and 2 feet away was the opening to the water main. Which was great news! It was clear down at the end of my street. He said we might just be able to put our hand in there and pull it out. He climbed down and had a metal tool and pulled it out. I was able to see that it was 2 feet away from being lost forever. It was also just where it need to be to reach in a grab it. Can you say miracle? He brought it to me covered in filth, but I didn't care. I didn't know what to say all I could do was cry. I said I would hug you but I just got done working out. How can I ever thank you. He just said a' thanks is all I need." I took it home and let it soak in bleach. I figured my other band was lost for good. It was lighter and probably made that extra two feet into the main. I got in the shower and said a Thank You prayer to my Father in Heaven who led these men. I got out of the shower and called my mom to tell her they found my engament ring. When I was on the phone with her something caught the corner of my eye. It was my band. At first glance I thought some how I had dropped the first one and then I realized this was my SECOND band! I immidately began to cry. I know I looked in the spot 50 times and same with my husband. I can't tell you how happy I am. I really can't describe this whole experience with out tearing up. I know my Heavenly Father had a hand in this. Not only my prayers, but a lot f my friends and families prayers were answered. Thank you guys for praying for something so materialistic. 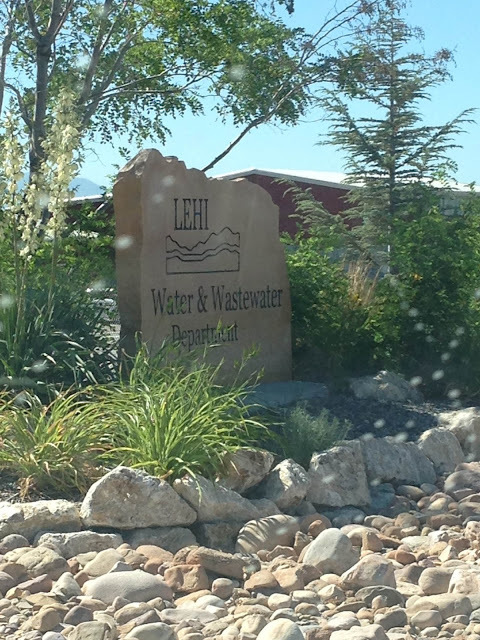 I can't thank Lehi Water and Wastewater Department enough! I was able to drop a little thank you off today. I hope they know how appreciative I am of them.